A Rexite icon, unmistakable with its soft lines and perfectly circular hole in the back, this version on a hanging rail is perfect for waiting rooms in public and private spaces. This is only one of the many possible compositions. Search the site for others or contact us for a custom-made composition. 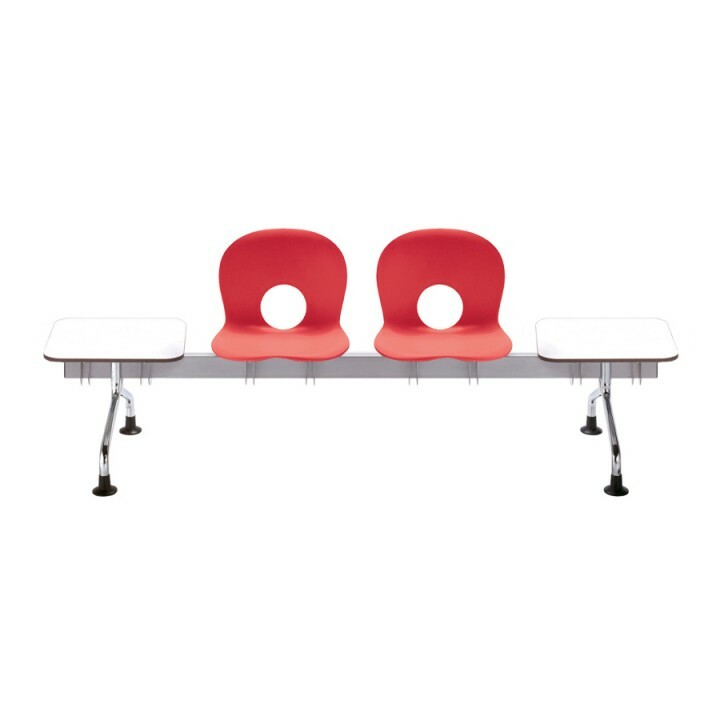 1 x Olivia - Hanging rail with legs for seats and tables€251.00€306.22VAT incl. 2 x Olivia - Side table with locking joints€279.00€340.38VAT incl. €807.00 VAT excl. €984.54 VAT incl.